The board describes the origin and properties of slate and its uses in construction. 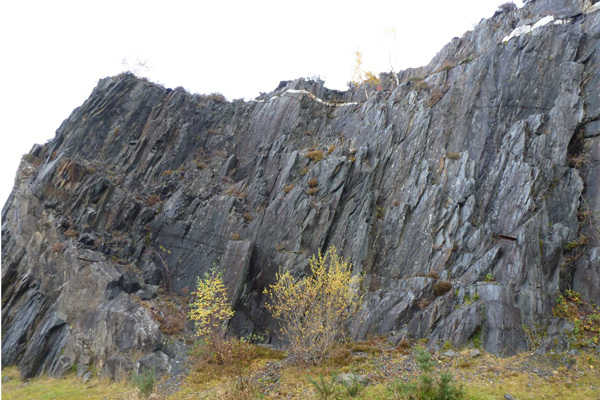 Ballachulish slate is part of the Dalradain Supergroup, laid down as fine grained mudstone in anoxic conditions. 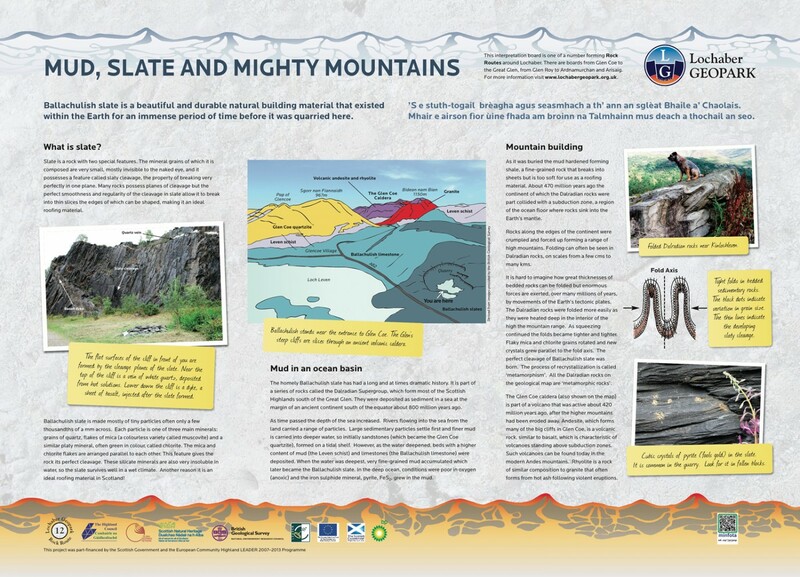 The board describes how these shales were metamorphosed (involving recystallisation) into Ballachulish slate during the collision of the continent with a subduction zone around 470 million years ago. A fascinating board exploring the nature and outcome of a collision and volcanic activity on the local geology and topography. 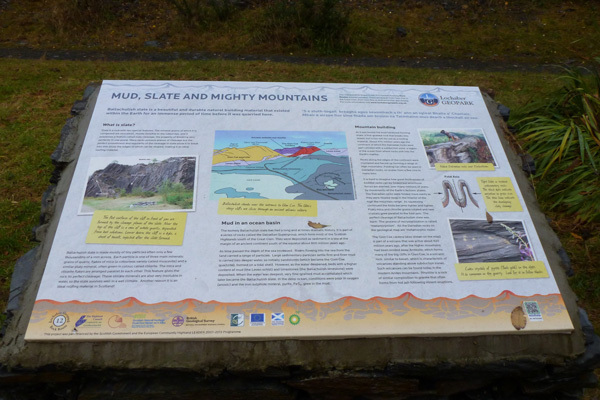 This interpretation board is located in the Ballachulish slate quarry.